See examples of how an outdoor green wall for a building facade or storefront will make a big impression. 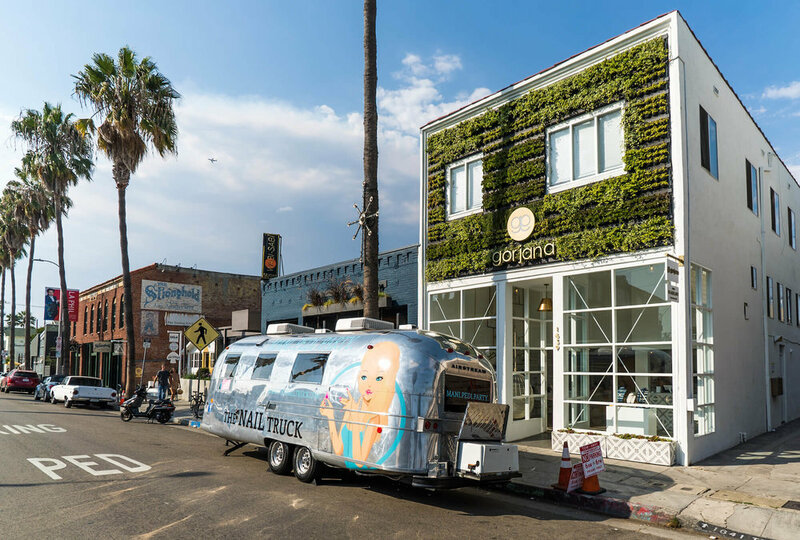 This upscale jewelry brand wanted to draw attention to their new flagship store in Venice Beach, California. To differentiate their store from the other luxury retailers in the area, they decided to install a large outdoor living wall. This storefront now stands out amongst other stores in the vicinity . The contractor chose the LivePanel green wall system because of its slim profile and ability to be custom sized to fit the building's unique dimensions. This outdoor green wall has a wide variety of plants including succulents, ivy and pothos.